Samsung has recently announced their Galaxy S III Smartphone which has already been made available in some other countries outside the US. 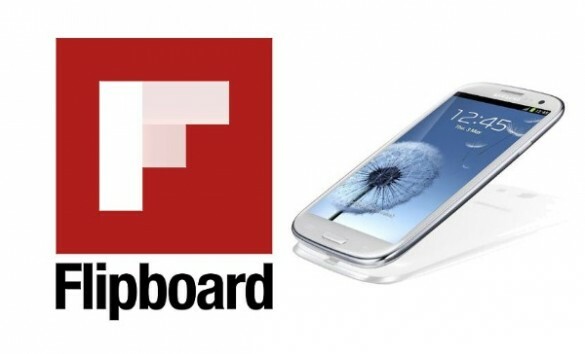 It was announced at the beginning of May along with an exclusive application called the Flipboard. During the announcement it was mentioned that the application will be coming to other Android devices in coming months. But now the application has been released for other Android devices too in just a month’s time from the earlier declaration. Flipboard opened up the public beta version so that the users can now enjoy the application on other Android devices too. The Flipboard was earlier on iPad only which allows the users to read feeds in Goggle Reader, Facebook, and Twitter etc. Flipboard usually turns the Internet content into a custom digital magazine with an attracting view. There are even a few other applications which are like the Flipboard as Google Currents, Pulse and Weave, but it seems like that they are not as much popular as the Flipboard is among its users. On the Android devices the Application can be placed on the home screen as Widgets. So it will also be very easy to use. Till now it also seems like it can be used in different sized Android device without much error. The most important point about this application is it is free and is worth downloading and trying.